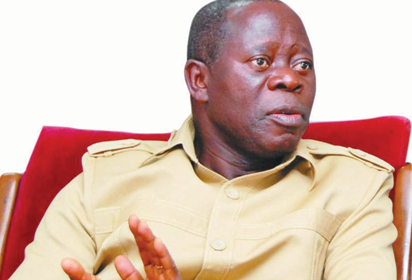 The report that the National Chairman of the All Progressives Congress, APC, Comrade Adams Oshiomhole, was arrested, detained and granted administrative bail by the Department of State Services (DSS), after a nine hours interrogation was on Saturday, dismissed by the former governor of Edo state. Oshiomhole who spoke with editors in Lagos averred that he saw DSS once and had a conversation with them. “It was not an arrest or detention”, he said.